We strongly believe that we have a responsibility to proactively engage with the communities, in which we live and work. As an organization we encourage our employees to volunteer within our community while providing them paid time off to give them even further incentive to contribute. We support strategic programs and partnerships that help make our communities better, stronger, and more vibrant places to live, work, and do business. We give back to the communities in which we do business, investing in their current and future well-being with voluntary financial contributions, needed technical expertise and support for employee volunteer and funding for education. Our goal is to develop effective and meaningful community-building initiatives while raising awareness of IndiSoft, our people and our company’s capabilities. We provide community grants and in-kind contributions, sponsor educational and other events, and empower our diverse employees to share their talents freely within communities. We also utilize our unique business capabilities and competitive advantages to forge alliances with industry and community partners to address important community goals. IndiaAsha is actively involved in promoting Education, Civic Duties and Primitive Health Care for the underprivileged. IndiaAsha believes that Education, Civic Responsibilities and HealthCare are three main areas where, even a small improvement will reflect tremendous positive change in the society. With this focus in mind, volunteers at IndiaAsha are engaged in helping needy students, organizing numerous free health checkup camps for T.B., Epileptic patients, Blood Donations, Blood Group Analysis to name a few. 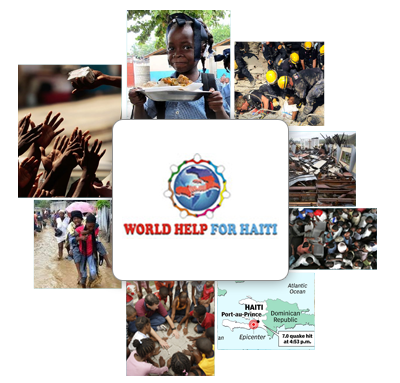 World Help for Haiti is a global movement for performing musicians to ply their talents to benefit Haitian disaster relief efforts. All proceeds go directly to the United Nations Central Emergency Response Fund, Bill Clinton's Haiti Relief Fund, and the American Red Cross International Response Fund. World Help for Nepal is a global movement for collecting donation for Nepal Earthquake Relief Fund , Nepal's biggest earthquake in more than 80 years struck the country last week, killing more than 5,000 people and destroying historic buildings. The world is currently in shock over the tragedy, but now is the time to take action. Your help is urgently needed to provide critical relief to families in Nepal affected by the earthquake. 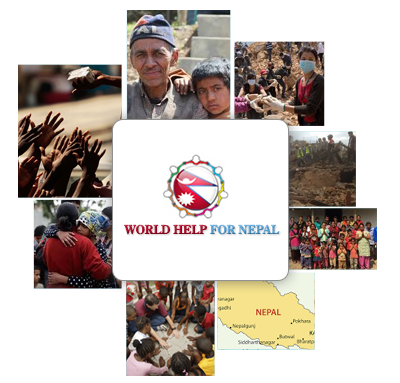 World Help for Nepal is already on the ground preparing for the relief effort.